Michael Rudd, owner of Open Space Yoga, and Stephanie Graves, representing Potters for Hospice, visited the Centre for Supportive Care just before Christmas with a wonderful Christmas gift. With the support from the community, they raised $3,561 from the Shopping Day for Hospice held in November. This gift helps in sustaining the important grief and loss services offered at no cost to families by the Delta Hospice Society. "Open Space Yoga, Delta Potters and a long list of other vendors have held this special Shopping Day for six years. 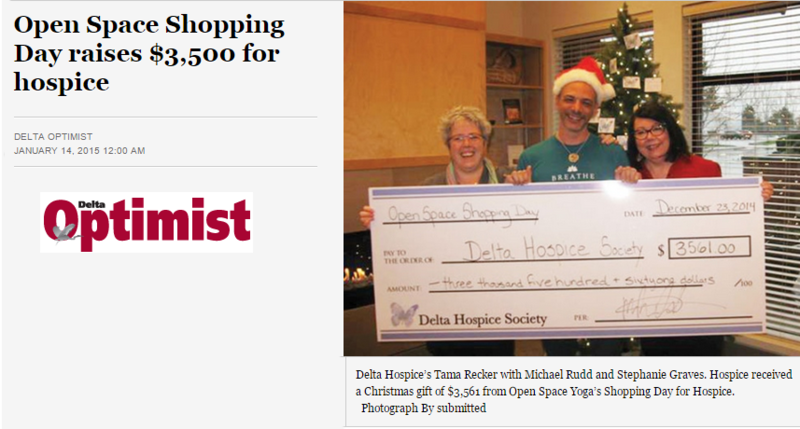 Their ongoing support is truly appreciated," said Delta Hospice executive director Nancy Macey. "The society depends on our many community supporters each year. Whether a shopper, vendor or hospice volunteer, everyone involved directly or indirectly makes a difference in the lives of others by giving your time or money to our charity." Rudd said organizers were pleased with the generosity of participants this year. "A heartfelt thank you to everyone who made this day possible," he said. "We couldn't do it without you." The fundraiser took place at Open Space Yoga in Ladner and attracted lots of wonderful vendors, including Sonja Picard, Potters for Hospice, Lara Cuisine, Chair Massage by Sue, The Crows Nest Art Studio, Chocolate Love, Tiger Tea, Gretel Designs, Four Sisters Metis Beadwork, Rose Shortbread, Stephanie Graves, and Donna Hellewell. Delta Hospice received 20 per cent of all sales and 100 per cent of all sales from Delta Potters. Large trays piled high with stuffed grape leaves, pastry-wrapped feta cheese, spiced cookies, baklava and other fragrant Turkish dishes cover the dining room table in Fatma Telli's Ladner home. It's a Friday afternoon and Telli is preparing a food order to be delivered that evening. 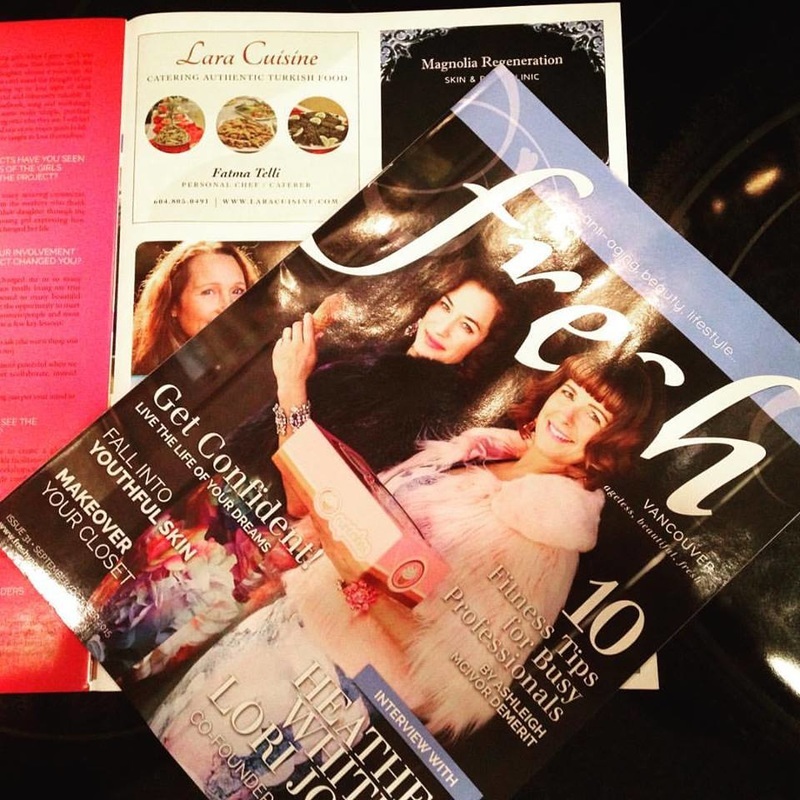 For the past decade, she has run a catering business called Lara Cuisine (www.laracuisine.com) that specializes in fare from her home country. Early this year, Telli left her job of 22 years as an executive assistant to dive full-time into her real passion—cooking. "I've been doing this for years, so I wanted to go full blast," she says. Born in Turkey, Telli grew up in Ontario and returned to Turkey after high school where she got married and had a baby. Telli, her husband and their son, now 18, return to Turkey every couple of years to visit family. She is largely a self-taught chef, but has taken many professional culinary classes and can make non-Turkish dishes upon request. All cooking is done out of her home, unless she's catering an especially large event—such as a wedding—in which case she will rent out a larger kitchen. She serves clients from across the Lower Mainland and, with more time on her hands these days, she is looking to open up an authentic Turkish cafe in South Delta. One of the most sought after dishes in her repertoire is baclava, consisting of layers of filo pastry, walnuts and sweet syrup. 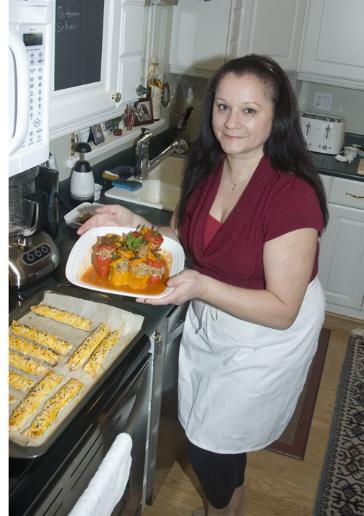 While that recipe is a closely guarded secret, she is willing to reveal her recipe for stuffed peppers. Cut off the tops of the peppers. Wash and take out the seeds. Mix ground meat, onions, rice, herbs, 1 tbsp tomato paste, black pepper, salt and olive oil in a bowl. Stuff the peppers with this mix. Place the peppers in a broad pot facing up. Mix tomato paste with 1 ½cups water and pour into the pot. Cook on medium heat for 30-40 minutes. Let it boil, but not vigorously; that might be harsh on your peppers. Taste rice. If the rice is soft, that means the peppers are cooked. Must be served with yogurt!